GREENBELT, Md. 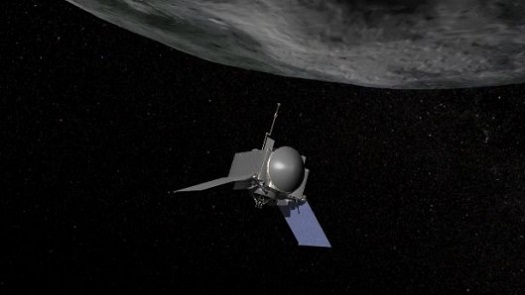 (NASA PR) — New tracking data confirms that NASA’s OSIRIS-REx spacecraft successfully completed its second Deep Space Maneuver (DSM-2) on June 28. The thruster burn put the spacecraft on course for a series of asteroid approach maneuvers to be executed this fall that will culminate with the spacecraft’s scheduled arrival at asteroid Bennu on Dec. 3.